I remember sunlight, but not what it feels like. I know it was warm on my face. Up at the 'Shop, the Sun edged down beneath the horizon by October, and then it was dark, and it's dark tonight and always will be dark. Cities pass below me, broad swathes of light splayed out along the coastlines or plains. Closer, I see street grids, blocks of houses, blocks of roofs. And chimneys, the world is full of them. In the most modern cities, houses with central heating nevertheless sport chimneys. I've never seen Rudolph, The Red-Nosed Reindeer. I'm not sure why. Maybe CBS traditionally scheduled it on Monday nights, and we only watched football on Monday nights in my family. Maybe my parents hated us. It's hard to say. I never felt like I was missing out on anything, though, and I don't really have any desire to rectify the situation. Besides that, we all know the story by now. But I bet you guys didn't know that there's another Rudolph-themed film. One I used to watch quite regularly. It's from 1976, and it's called Rudolph's Shiny New Year, and it's one of Red Skelton's very last performances. Despite the fact that it's a Rankin-Bass film, like the first one, when the movie does a flashback to explain Rudolph's tumultuous past, it does not use clips from the first one. In fact, the story is told with new animation to accompany the famous song. Due to that, there's actually no connection between the first movie and its apparent sequel. Before I start discussing the movie itself, I want to give you a taste of its, well, insanity. This is a 20 second commercial for ABC's "newest" Holiday classic. 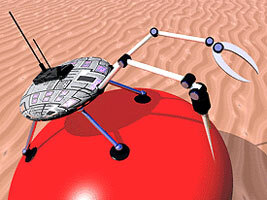 You all know all there is to know about nanotechnology. You have seen it in action, as a green mist that dissolved Paris, as tiny cubes that form freaky spider things that do battle with humans and big-headed aliens alike, as a devouring force sent to cleanse us by Keanu Reeves. You have read about it, too. Michael Crichton’s Prey shows nanotechnology doing what the dinosaurs did in Jurassic Park – running amok, killing people and showing far greater intelligence than might be accurate. The following recipe is from David Colombe's debut book Colombe's Cooking In Your Kitchen. The recipe is posted with his permission. You can find more information about David Colombe, his book, and his delicious recipes at his website. I have served this both as a main course and as an appetizer. Either way, people LOVE it. It is really great to make your own rub for this. It’s really easy and will make a big difference in the dish. Everybody will be WOW’ed. Making your own rub gives you the personality of the dish, instead of using a prepackaged rub that usually contains more salt than real flavour. 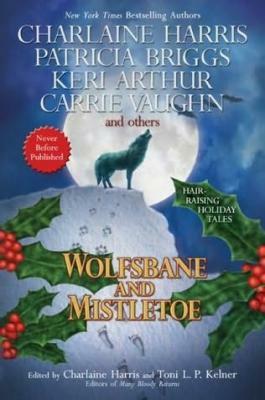 From the people that brought out Many Bloody Returns comes a combination rarely seen in holiday fiction – werewolves and Christmas. Fifteen different authors provide stories ranging greatly in length and style in this anthology, but don’t expect much in the way of “hair-raising” as the tagline on the cover suggests. Most of these have some sort of a feel-good factor while introducing the reader to a wide variety of authors. It is, after all, a Christmas anthology.